Prof. Mahmood Yakubu and the Deputy Inspector General of Police in charge of elections DIG Lakanu have been accused by sources within the Rivers State Government of mounting undue pressure on the Rivers State Resident Electoral Commissioner, Obo Efanga to re-inject earlier rejected results from 2 local Governments of the State. Results from Emohua, Ikwerre, Okrika and Asari Toru Local Government Areas of Rivers State were rejected by the Commission through its respective Local Government Area Electoral Officers (EOs) who confirmed them to be concocted by the Military at gunpoint. Recall that Rivers State as well as other States like Bayelsa and Akwa Ibom, strongholds of the Peoples Democratic Party (PDP), witnessed undue militarization during the elections. Elections had to be shifted in Akuku Toru local government area of Rivers State due to what many described as a near-war scenario that reportedly claimed not less than 15 lives including at least a military officer and an INEC official. In Okrika, 4 Wards could not hold the elections because Election materials meant for them were hijacked by the military under the command of one Capt. Inuwa working with the Divisional Police Officer of the LGA, Nasiru Gambo. Capt. Inuwa was also accused of leading soldiers later in the same day to confiscate collated results from the Collation Center. Similar scenarios played out in Emohua and Ikwerre LGAs, where the Election Officer claimed to have been abducted by the Minister for Transportation, Chibuike Rotimi Amaechi. The pressure allegedly being mounted by the INEC Chairman has been described as a complete travesty of democracy which is capable of undermining the credibility of the entire election. 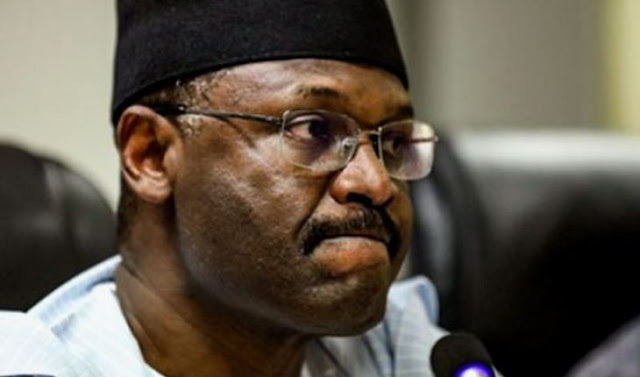 “INEC Chairman has no business with deciding what the results should be. Has he become an interested Party in the election?” asked Barr. Oraye St. Franklyn, a Senior Special Assistant to the Rivers State Governor.